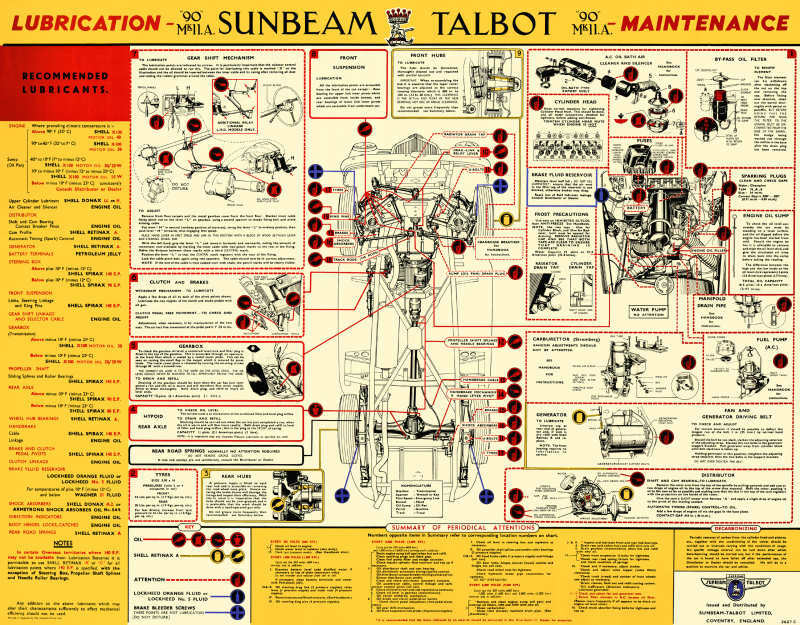 If you own a Sunbeam Talbot, we strongly suggest that you subscribe to an email listserv that presently has over 200 subscriber/owners from around the World that are willing to assist you with Maintenance tips, repairs or suggestions to keep your car on the road. Our cars are now well over 60 years old and keeping them on the road can be a challenge. To subscribe, visit http://sunbeamtalbot.info/mailman/listinfo/staowners_sunbeamtalbot.info and follow the Subscribing procedure and you will receive an automated response which will be authorized and you will receive a Welcome message with directions on how to use this tool. Basically to post a message, you send a message to staowners@sunbeamtalbot.info and your message will be automatically distributed to the 200+ subscribers willing to assist you. Recently in August 2012, there was a lot of discussion on replacement tyres (tires) for the original Dunlop Fort 5.50 x 16 bias play tires and all the inforamtion provided but the email list subscribers has been compiled into a Tyres PDF file with a summary and images for you to download and print. The clutch is a BORG& BECK 45692/57. Driven plate 47626/50. Release bearing 46890. I believe it's the same as Austin Healey. I have found that a Gates 20A1155 works well on these cars. I believe it is for a Case backhoe or equivalent and listed in their Industrial catalog. George Simpson in Cognac, France (deceased) was good enough to scan five pages of the installation and adjustment of the "Kneer" floor shift conversions made for our cars in the mid to late 50's by F.W. Kneer in Bayside, NY. This document is available for viewing, downloading and printing in Adobe PDF format by clicking here. I didn't make clear that the captive screw fitting has to be detached from the strip and fitted back on the other end, then the "spare" material cut off where the screw fitting originated and then bent to form a 90 deg. hook about 5/16" long in the direction shown. 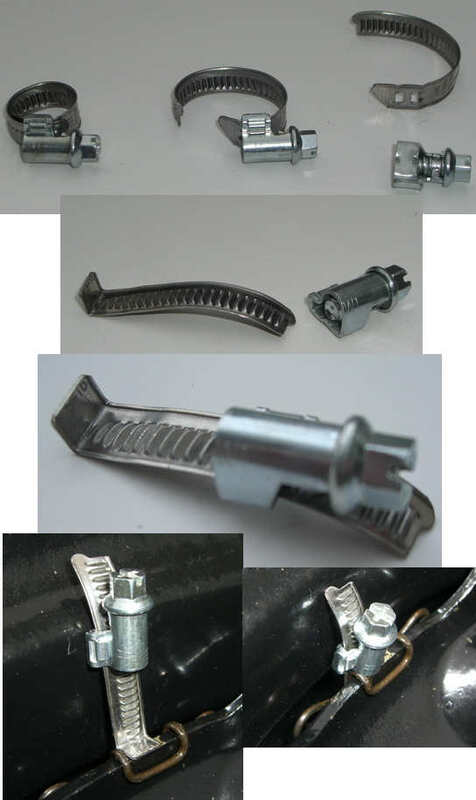 The hook-strips have to be located in the trim slots, hook towards the wheel centre, minus the screw fitting, then threaded through the slots in the wheel rim, before finally re-fixing the screw fittings and tightening up just so. I'd like it to have been my idea but credit must go to my nephew, Martin Street's father, Peter, who sadly died earlier this year, taking with him a wealth of S.T. knowledge. Wix 51001 (NAPA 1001) - normal 1/2" center hole. Wix 51010 (NAPA 1010) - normal 1/2" center hole and comes with the correct gasket for the top. 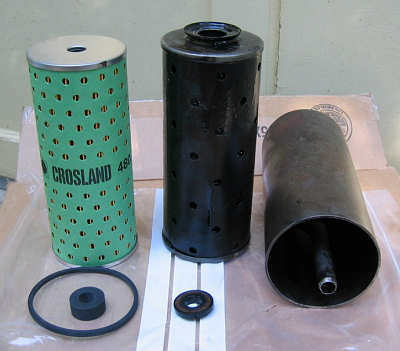 As these are shorter that the original filters, be sure the spring on the canister top comes in contact with the filter. Wix 51099 (NAPA 1099) - has large center hole and is readily available at a reasonable cost. It comes complete with the correct gasket for the top. Requires a stepped nylon top washer and a wide flat bottom washer. Carquest 85001 - Some of these filters have flat section O rings that do not work. I went to my local hydraulic specialist shop and purchased regular round "O" rings of suitable diameter that work fine. Suggested by Pete Woodall. Fram CH834PL1 - Large center hole. These are available through Sunbeam Talbot Spares (address above) and require a stepped nylon top washer and a wide flat bottom washer which are provided with the filter. Mike Begg emailed the list to say that a suitable replacement MK III filter is the Fram CH8530 fits and readily available in North America. The Rootes Group recommended spark plug for these cars was a Champion N-8 which is no longer manufactured. The current equivalent to this plug is a Champion 120 (N5C) or an Autolite 404. 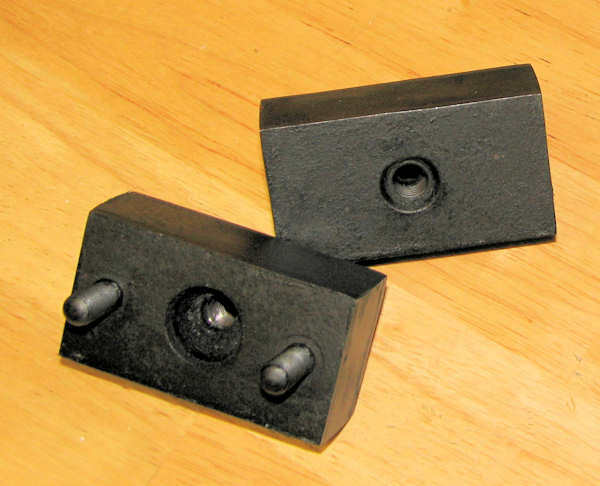 I have used the following for replacement parts on my 55 Mark III and my 53 Alpine. I thought some might find this helpful and I would appreciate hearing about any replacements you have found that work. These numbers are from Their toll free number is 1-800-255-0088. Rear Brake cylinder MGA 7-310. I also have ordered parts from Sunbeam Talbot Spares which is easier now that they accept credit cards. I had a scan made of a new "Lubrication and Maintenance Chart" that was attached to the inside back cover of the original Owners Manual and can now provide full sized (28 1/4" W x 21 1/4" H), color prints to hang in your garage for easy reference. They are very high quality, printed by an industrial graphics company located here in Halifax, Nova Scotia, using water based inks so I strongly recommend they be laminated or dry mounted. The printing costs keep changing because of International currency fluctuations so please contact me before ordering and I can give you a firm price which will include the cost of a mailing tube and postage. In the past it has been in the neighborhood of Can$30.00 unlaminated plus Can$12.00 if you wish to have it laminated. Another option is if you are a subscriber to the email list, I can send you the JPEG file and you can take it to your local printer to have it printed and dry mounted. If you wish to order one of these essential charts or print one off yourself, please contact Bob Hamilton.